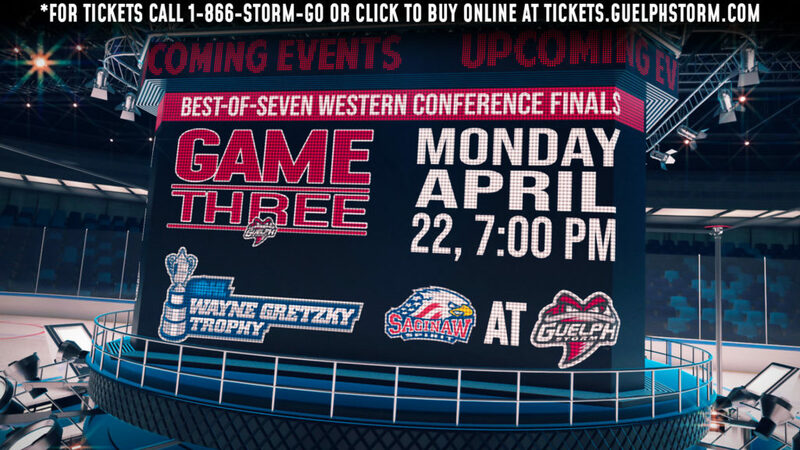 The Guelph Storm had a terrific OHL Opening Week and are looking to keep it going as they battle the Hamilton Bulldogs and their red-hot offense. 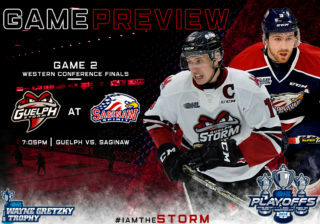 After an impressive OHL Opening Week for both teams, it will be a battle of the league’s hottest offense versus the league’s hottest defense as the Storm will look to stay perfect when they take on the Hamilton Bulldogs in their lone visit to the Sleeman Centre for the 2016-17 season. 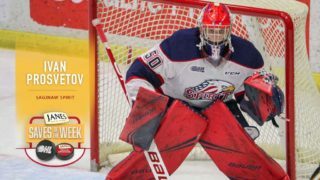 After the OHL Opening Week, the Storm sport a perfect record which can be largely contributed to the efforts of the team’s defense and goaltending. Liam Herbst was spectacular in his first two starts in a Storm uniform posting a GAA of 1.00 and save percentage of 0.974. The Bulldogs will enter Friday night’s battle as the top team in the Eastern Conference, as well as the hottest offense in the league, scoring an average of six goals per game through their first three games of the season. Friday night will also mark the debut of recently acquired Will Bitten, reuniting with Bulldogs Head Coach John Gruden. Veteran forward Jake Bricknell is off to a roaring start to the year, recording a goal and two assists in two games played. 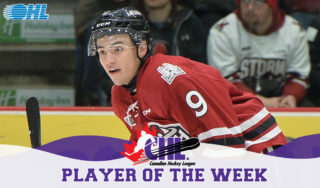 His efforts during Saturday night’s 2-1 win over Saginaw was good for third-star honours. He’ll look to carry his strong play into this weekend’s match-ups. Back from a stint at the Philadelphia Flyers training camp, Garrett McFadden is set to make his 2016-17 debut. Recently named the captain of the 2016-17 Storm, McFadden is looking forward to leading this young group into a new dawn and build off his career year, last season. Two more veterans are set to return to the lineup, as Noah Carroll and James McEwan both returned to Guelph earlier this week from their NHL training camps. 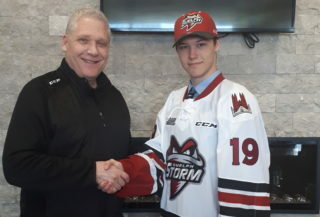 McEwan, last year’s Storm MVP, and Carroll, a 6th round pick of the Carolina Hurricanes, will bring experience to the young team and are an added boost at both ends of the rink. With the hottest offense in the OHL, the Bulldogs are led by veteran forward Matt Luff. Hot on the heels of signing a contract with the Los Angeles Kings, Luff posted four goals and three assists for seven points in three games. Luff currently leads all OHL skaters in points, goals, game-winning goals and plus/minus. The Bulldogs high-octane offense will also experience a boost with the recent acquisition of Will Bitten. The third-round pick of the Montreal Canadiens is set to make his debut with the Bulldogs after being acquired earlier this week from the Flint Firebirds. 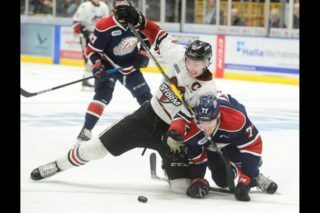 Bitten recorded 30 goals and 35 assists for 65 points in 67 games last year for Flint and will be a welcomed addition to Hamilton. The Bulldogs lineup also features last year’s third overall selection of the 2016 OHL Priority Selection, Connor Roberts. After a quiet preseason, Roberts has had a strong start to his rookie year picking up two assists in his first three goals. He’ll be in search of his first career OHL goal on Friday night.